Customised triathlon training - sprint through Ironman distances, beginners and experienced athletes. Contact me if you want to chat about your coaching needs, the options available to you and my availability. 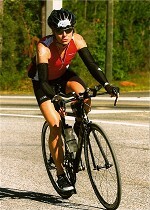 Experienced Racer & Competitive Age Group Triathlete:7th AG Florida Ironman November 2008, 2010 Ironman World Championships 70.3, 2011 Ironman 70.3 Syracuse - 1st AG, 2012 Ironman World Championships 70.3 (qualifier), USAT Age Group World Championship Qualifier. Age Group Winner (at Half, Olympic & Sprint distances), Adventure Racer, Marathoner (BQ), USAT Lacrosse Coach and finally happy wife & mum to two great kids! Success. Coach Victoria Wardle has been notified of your message.